Jeffrey M. Katz advises agents, lenders, borrowers and equity sponsors on a wide range of domestic and cross-border leveraged finance transactions. 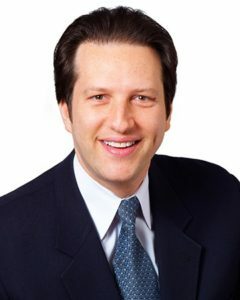 Mr. Katz has extensive experience in private financings, including secured and unsecured credits, workouts, recapitalizations, acquisition financings, debtor-in-possession financings, cross-border transactions and intercreditor issues, as well as asset-based and cash-flow based lending transactions and an array of structured financings. Mr. Katz’s practice is deeply integrated with Dechert’s Restructuring and Litigation groups. Mr. Katz advises on complex syndicated financings, which have included hundreds of revolving credit, term loan, letter of credit, liquidity and other facilities. Mr. Katz’s practice also focuses on distressed debt and other troubled credits. He represents agents, lender groups, individual lenders, and borrowers in workouts, recapitalization transactions and through the restructuring process in order to maximize value for his clients. He deals extensively with intercreditor issues arising between and among secured and unsecured creditors, senior and subordinated creditors, first- lien and second-lien lenders, and first-out and last-out first-lien lenders, including enforcement issues, rights, and remedies. By analyzing the indentures and other debt and credit instruments of an issuer, he advises debtholders of their relative rights and priorities among creditors, and of their potential remedies and other options. For example, Mr. Katz successfully asserted and negotiated a large “double-dip” recovery in a Chapter 11 case on behalf of a major institutional client. Mr. Katz regularly represents business development companies and other permanent capital vehicles in connection with their warehouse and other structured financings. In addition, Mr. Katz has extensive experience with mezzanine financings of commercial real estate structurally subordinated to rated mortgage-backed securities. These require sophisticated lockbox mechanisms and cash-flow management techniques. He has also advised on compliance with rating agency requirements for the structuring of borrowers as special purpose bankruptcy-remote vehicles. A member of Dechert’s International and Insolvency Litigation group, Mr. Katz has experience in a broad range of issues that arise in cross-border transactions, including foreign currency and exchange issues as well as foreign collateral security issues. He has been involved with many transactions in Latin America and the Caribbean, and is familiar as well with Israeli corporate and commercial law. Mr. Katz has been listed in multiple editions of legal directory The Legal 500 U.S. for his work in bank lending. He has also appeared on CNN and other national media on a range of legal and financial issues.